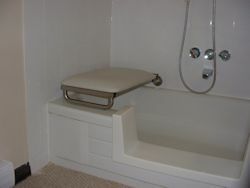 This is the most innovative and functional design of tub bench. 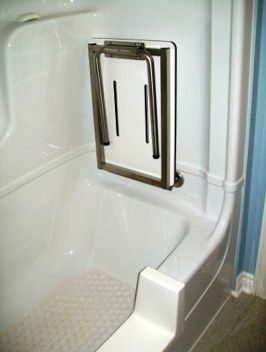 The front edge of the seat positions the person within easy reach of the controls. 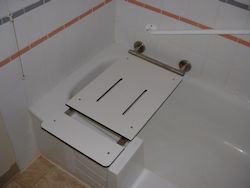 The stainless steel frame construction provides incredible strength and stability. 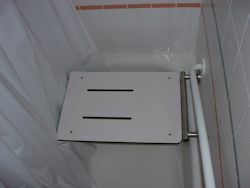 If not required, the seat folds up - out of the way for others to use. 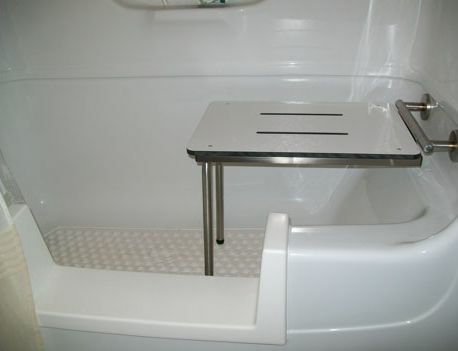 The white phenolic seat surface is stain resistant and easy to clean with a simply wipe. 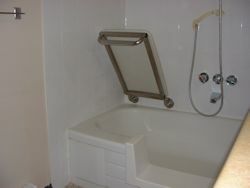 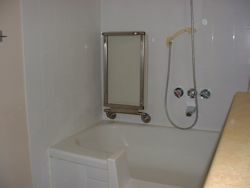 By having the Walk-Thru Tub Insert you have ample room to enter and exit the tub easily. 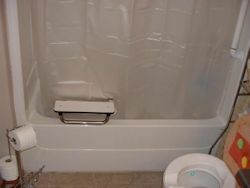 The curtain slot keeps the water in the tub!